There’s something about Mexican cooking that really grabs me. The flavours, the ingredients, the colours. They just work for me. And these grilled beef tortillas are no exception. The fact that if you’re smart about it, you too can eat like a reassuringly well-fed Mexican, drink the odd corona, exercise regularly and look great should appeal to you too. 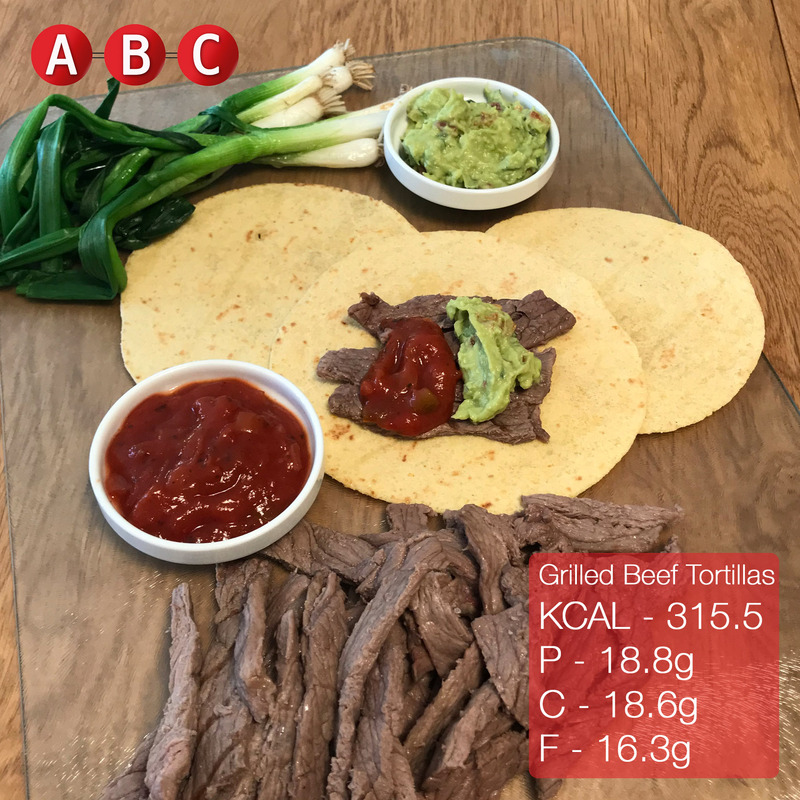 Keep in mind the data mentioned above is a very loose interpretation of the macronutrients per each tortilla. It’s obviously entirely dependent on the amount of filling you’re using. I will say, I’ve collated the data from a very generous portion! The method with these grilled beef tortillas is very simple and requires minimal prep time. Perfect if you’re a busy individual yet still want to prep your own meals. Begin by sprinkling the salt over your thin strips of beef and allowing to sit for a few minutes. You can also fire your grill up and get it nice and warm. First under the grill will be your spring onions, followed by your meat. If your grill is hot enough they should both only take a matter of minutes to cook. To make the guacamole, use a blender, or if you’re old school a pestle and mortar will be also ideal. Just throw all of your ingredients in together and mix well. Serve this meal “open” so you can pick and choose ingredients at your will. Why not try doubling up the portion sizes and sharing it with friends and family around the dinner table?